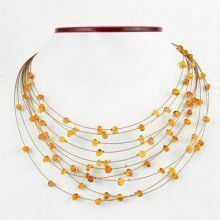 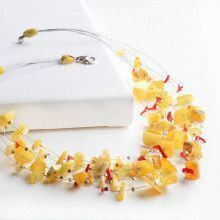 This gorgeous necklace features large saucer shaped cherry amber beads knot-strung together to form a luminous, one of a kind strand of amber. 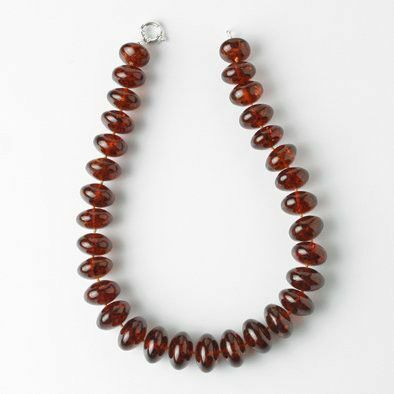 The highly polished amber beads feature shining natural inclusions. 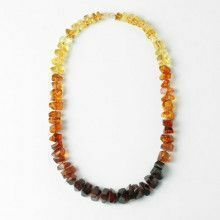 Necklace has large .925 sterling silver spring ring closure. 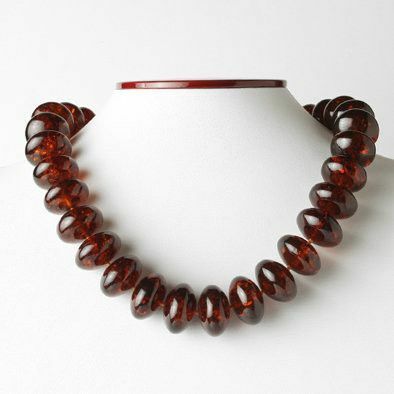 Beads measure about 1" in width x 1/2"